ANIL POTTI, Joseph Nevins and their colleagues at Duke University in Durham, North Carolina, garnered widespread attention in 2006. 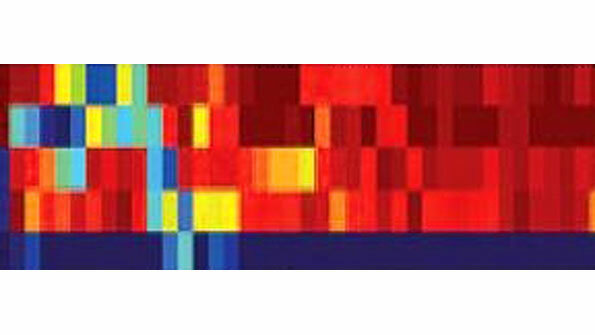 They reported in the New England Journal of Medicine that they could predict the course of a patient’s lung cancer using devices called expression arrays, which log the activity patterns of thousands of genes in a sample of tissue as a colourful picture (see above). A few months later, they wrote in Nature Medicine that they had developed a similar technique which used gene expression in laboratory cultures of cancer cells, known as cell lines, to predict which chemotherapy would be most effective for an individual patient suffering from lung, breast or ovarian cancer. At the time, this work looked like a tremendous advance for personalised medicine—the idea that understanding the molecular specifics of an individual’s illness will lead to a tailored treatment. The papers drew adulation from other workers in the field, and many newspapers, including this one (see article), wrote about them. The team then started to organise a set of clinical trials of personalised treatments for lung and breast cancer. Unbeknown to most people in the field, however, within a few weeks of the publication of the Nature Medicine paper a group of biostatisticians at the MD Anderson Cancer Centre in Houston, led by Keith Baggerly and Kevin Coombes, had begun to find serious flaws in the work. Dr Baggerly and Dr Coombes had been trying to reproduce Dr Potti’s results at the request of clinical researchers at the Anderson centre who wished to use the new technique. When they first encountered problems, they followed normal procedures by asking Dr Potti, who had been in charge of the day-to-day research, and Dr Nevins, who was Dr Potti’s supervisor, for the raw data on which the published analysis was based—and also for further details about the team’s methods, so that they could try to replicate the original findings. Dr Potti and Dr Nevins answered the queries and publicly corrected several errors, but Dr Baggerly and Dr Coombes still found the methods’ predictions were little better than chance. Furthermore, the list of problems they uncovered continued to grow. For example, they saw that in one of their papers Dr Potti and his colleagues had mislabelled the cell lines they used to derive their chemotherapy prediction model, describing those that were sensitive as resistant, and vice versa. This meant that even if the predictive method the team at Duke were describing did work, which Dr Baggerly and Dr Coombes now seriously doubted, patients whose doctors relied on this paper would end up being given a drug they were less likely to benefit from instead of more likely. Another alleged error the researchers at the Anderson centre discovered was a mismatch in a table that compared genes to gene-expression data. The list of genes was shifted with respect to the expression data, so that the one did not correspond with the other. On top of that, the numbers and names of cell lines used to generate the data were not consistent. In one instance, the researchers at Duke even claimed that their work made biological sense based on the presence of a gene, called ERCC1, that is not represented on the expression array used in the team’s experiments. Even with all these alleged errors, the controversy might have been relegated to an arcane debate in the scientific literature if the team at Duke had not chosen, within a few months of the papers’ publication (and at the time questions were being raised about the data’s quality) to launch three clinical trials based on their work. Dr Potti and his colleagues also planned to use their gene-expression data to guide therapeutic choices in a lung-cancer trial paid for by America’s National Cancer Institute (NCI). That led Lisa McShane, a biostatistician at the NCI who was already concerned about Dr Potti’s results, to try to replicate the work. She had no better luck than Dr Baggerly and Dr Coombes. The more questions she asked, the less concrete the Duke methods appeared. By the end of 2010, Dr Potti had resigned from Duke, the university had stopped the three trials for good, scientists from elsewhere had claimed that Dr Potti had stolen their data for inclusion in his paper in the New England Journal, and officials at Duke had started the process of retracting three prominent papers, including the one in Nature Medicine. (The paper in the New England Journal, not one of these three, was also retracted, in March of this year.) At this point, the NCI and officials at Duke asked the Institute of Medicine, a board of experts that advises the American government, to investigate. Since then, a committee of the institute, appointed for the task, has been trying to find out what was happening at Duke that allowed the problems to continue undetected for so long, and to recommend minimum standards that must be met before this sort of work can be used to guide clinical trials in the future. At the committee’s first meeting, in December 2010, Dr McShane stunned observers by revealing her previously unpublished investigation of the Duke work. Subsequently, the committee’s members interviewed Dr Baggerly about the problems he had encountered trying to sort the data. He noted that in addition to a lack of unfettered access to the computer code and consistent raw data on which the work was based, journals that had readily published Dr Potti’s papers were reluctant to publish his letters critical of the work. Nature Medicine published one letter, with a rebuttal from the team at Duke, but rejected further comments when problems continued. Other journals that had carried subsequent high-profile papers from Dr Potti behaved in similar ways. (Dr Baggerly and Dr Coombes did not approach the New England Journal because, they say, they “never could sort that work enough to make critical comments to the journal”.) Eventually, the two researchers resorted to publishing their criticisms in a statistical journal, which would be unlikely to reach the same audience as a medical journal. Two subsequent sessions of the committee have included Duke’s point of view. At one of these, in March 2011, Dr Nevins admitted that some of the data in the papers had been “corrupted”. He continued, though, to claim ignorance of the problems identified by Dr Baggerly and Dr Coombes until the Rhodes scandal broke, and to support the overall methods used in the papers—though he could not explain why he had not detected the problems even when alerted to anomalies. The university’s lapses and errors included being slow to deal with potential financial conflicts of interest declared by Dr Potti, Dr Nevins and other investigators, including involvement in Expression Analysis Inc and CancerGuide DX, two firms to which the university also had ties. Moreover, Dr Califf and other senior administrators acknowledged that once questions arose about the work, they gave too much weight to Dr Nevins and his judgment. That led them, for example, to withhold Dr Baggerly’s criticisms from the external-review committee in 2009. They also noted that the internal committees responsible for protecting patients and overseeing clinical trials lacked the expertise to review the complex, statistics-heavy methods and data produced by experiments involving gene expression. That is a theme the investigating committee has heard repeatedly. The process of peer review relies (as it always has done) on the goodwill of workers in the field, who have jobs of their own and frequently cannot spend the time needed to check other people’s papers in a suitably thorough manner. (Dr McShane estimates she spent 300-400 hours reviewing the Duke work, while Drs Baggerly and Coombes estimate they have spent nearly 2,000 hours.) Moreover, the methods sections of papers are supposed to provide enough information for others to replicate an experiment, but often do not. Dodgy work will out eventually, as it is found not to fit in with other, more reliable discoveries. But that all takes time and money. The Institute of Medicine expects to complete its report, and its recommendations, in the middle of next year. In the meantime, more retractions are coming, according to Dr Califf. The results of a misconduct investigation are expected in the next few months and legal suits from patients who believe they were recruited into clinical trials under false pretences will probably follow. The whole thing, then, is a mess. Who will carry the can remains to be seen. But the episode does serve as a timely reminder of one thing that is sometimes forgotten. Scientists are human, too. Correction: This article originally stated that by the end of 2010 officials at Duke University began the process of retracting five papers. That should have been three papers. This was corrected on September 8th. Fraud and data manipulation, suppression of rivals’ research, huge egos, intensive PR campaigns, drug-induced inspiration ... The world of science described by Michael Brooks is far from the image of sober, sedate rectitude long promoted by the scientific establishment. Free Radicals is fun to read. Brooks, a professional science writer, capers through the exploits of scores of brilliant and often ruthless rogues – some living, many long dead – who have won Nobel prizes or otherwise pushed science forward. Some of its biggest names turn out to be the dirtiest players. Albert Einstein, whose name is synonymous with genius, crops up in several chapters – “a perfect example of the character that will produce great science and think nothing of the misdemeanours that such breakthroughs demand,” as Brooks puts it. The author starts by reminding us of Einstein’s unappealing personal life – among other things making passes at his mistress’s daughter, breaking his promise to give all his Nobel prize money to his wife Mileva, evading tax and abandoning his schizophrenic son to die a “third-class” patient in a mental institution. Then the book analyses the many “shady moments” in Einstein’s professional life: cherry-picking data to support his theories, appropriating advances made by others and, once he had made his name, using fame shamelessly for further self-advancement. The equation most closely associated with Einstein, E=mc2, did not come as a surprise to those in the know when he first proposed it in 1905, Brooks claims. And Einstein failed in eight attempts to prove E=mc2 during the next 41 years, though others succeeded – yet he had appropriated the equation as his own and he dismissed attempts to set the record straight, with aggressive assertions of his “priority”. Although Brooks denies doing his own cherry-picking by focusing on a series of celebrated scientists who blatantly cut corners and promoted their own careers, I do not accept his assertion that such behaviour runs through the whole of science. There may, indeed, be extensive low-level cheating among the scientific grassroots, as Brooks maintains, but to compare this with what happens at the top is like equating the fiddling of expenses among junior commercial staff with serious disregard for business ethics by senior executives. All we can really conclude, if we accept the accuracy of the stories in Free Radicals, is that brilliance alone is not sufficient to shine in science, any more than in other fields. In science, just as in business, politics, sport and the arts, you also need ambition and self-promotion. It’s very rare to win honours and gain recognition if you’re spending decades quietly in the scientific wilderness. Charm and charisma help, too. So do persistence and hard work. Honesty is more important in the more open and transparent, and I would say more moral, scientific world of today than it was in the past, though even now really clever deception can get you a long way. Brooks believes that scientists must let their “secret anarchy” come into the open if research is to advance at the pace society needs to solve an overwhelming set of problems during the 21st century. He is right to some extent. Scientists have been too quiet for half a century, complying with Winston Churchill’s famous observation that they “should be on tap but not on top”. They need to mobilise, agitate and kick up more of a stink on important issues, as Brooks says. But encouraging selfish determination to succeed at any price, as exhibited by Newton, Einstein and some other great names of the past, will not help the cause of science, or society. An increase in the number of students dropping out of US universities to follow their dreams and launch start-up companies in Silicon Valley may be the latest sign of an internet bubble, according to industry experts. Professors at MIT, Stanford and the University of California at Berkeley, three universities with a strong tradition as IT powerhouses, confirm an uptick in entrepreneurial dropouts as students seek to emulate the examples of famously successful non-graduates such as Bill Gates at Microsoft, Steve Jobs at Apple and Mark Zuckerberg at Facebook. FT Alphaville Hot air in the tech bubble? About a dozen college dropouts interviewed by the Financial Times said that they knew others who had made a similar choice. All confirmed investor willingness to fund them. Harj Taggar, a partner with Y Combinator, an incubator founded in 2005 that funds young entrepreneurs, said applications from students were rising. He noted that there was strong interest from angel investors who were “willing to fund these 18 and 19-year-old kids”. Part of the reason, he said, was that it was a lot cheaper to start an internet business today than during the internet bubble of the late 1990s. Laptop computers have become less expensive and web-based companies do not have manufacturing costs. Young people without families or mortgages were also willing to live in cheap apartments, eat noodles and work long hours, he said. As investors scramble for a stake in the frenzy of online start-ups, university students are attracting funding from venture capitalists and angel investors, and are in turn choosing, or in some cases being asked, to abandon their studies. “The environment encourages students to leave,” said Andre Marquis, director of UC Berkeley’s entrepreneurship centre, who had three students drop out of his programme last semester alone. “In Silicon Valley, it’s almost a badge of honour to have left school for your start-up,” Ms Hu said. In a culture where risk-taking and making unconventional choices are seen as necessary traits to finding the next technology trend, skipping a conventional education is often celebrated rather than shunned. When 19-year-old Ben Yu decided to drop out of Harvard in the middle of his freshman year to launch a price-comparison website for travel gear, his mother could not understand. In Silicon Valley, investors who are clamouring for a piece of the internet action are more than happy to help entrepreneurs like Mr Yu get started. Investors often prefer to have young founders at the helm of internet companies, because they grew up with the technology and are intimate with the young audiences many are targeting. “The technology that young people use, it’s almost critical to have young people driving it,” said Andre Marquis, director of the entrepreneurship centre at the University of California at Berkeley. Three of his students dropped out last semester when they got funding to start a website that offers daily deals to students. College dropouts and recent graduates also have ties to broad networks of other students, who have become prime targets in an increasingly tense talent war for engineers. “I’m inclined to ask people to drop out,” said Jessica Mah, 19, founder of the money management site inDinero. Though Ms Mah was offered venture funding during her final year at UC Berkeley, she chose to graduate, in part to give herself more time to recruit her classmates. Now she is racing to hire more engineers and is offering summer internships to college students in hopes they will become employees, perhaps before they graduate. Though small start-ups cannot offer huge salaries, they often promise a big chunk of equity. That prospect sometimes succeeds in luring students from school, as it did with several early employees at Facebook. University officials defend the value of degrees, but acknowledge that schools struggle to provide the most relevant training to future entrepreneurs. “Young people doing start-ups, they’ve got to juggle 20 things at a time, how to get financing, how to manage people, how to meet commitments,” said Joel Schindall, an engineering professor at MIT who believes the lack of these “soft skills” among engineers drives the talent war. “There was not a shortage of engineers, but a shortage of the kind of engineer who can take the responsibility of doing the engineering and also follow through on the cost, getting it done on time, and making it well suited to what the customer needed,” he said. Even if a start-up fails, the founder is not a failure, said Max Hodak, 21, who dropped out of Duke University to start an education company. The skills one learns at a start-up make any founder a desirable employee, he said. Mr Hodak was hired by another start up as was his co-founder, who also dropped out . Thick university textbooks can cost hundreds of dollars each, burdening students with expensive tomes rendered virtually worthless after just one semester. But on Tuesday, Nature Publishing, a prominent science publisher, will unveil a digital textbook with a new pricing model that could upend the multibillion-dollar educational publishing market. Nature, a division of Macmillan, will charge $49 for lifetime access to a regularly updated biology textbook that can be accessed via a computer, tablet or smartphone, or printed out. “There is a deep tension in the educational market today between what consumers want to pay and what publishers say they need,” said Vikram Savkar, director of publishing at Nature. The inaugural textbook in this new programme, Principles of Biology, will be used by three California State University campuses beginning this autumn. Gerry Hanley, senior director for academic technology services at Cal State, said the university intended to expand the programme. On two campuses, students will be responsible for purchasing the digital textbook directly from Nature. The third Cal State campus will purchase a site licence for the textbook and pass the cost along to students, a model similar to the way academic journals are sold. The transition from an ownership model to an access model is already upending the music and film businesses, and Nature believes textbooks could be next. The textbook business is already under assault from websites such as Chegg.com, which match buyers and sellers of used textbooks. Nature’s new programme could provide yet another hitch. Pearson, the largest educational publisher in the world, is expanding its own digital learning strategy, but does not yet have a product comparable with Nature’s. Pearson owns the Financial Times. Mr Savkar said that while Nature has made a considerable investment in the new format, it has the potential to be a lucrative revenue stream for Macmillan, which is looking to deploy similar models across other imprints. “If we get a reasonable share of market for a new textbook, about 10 per cent, it will be a very healthy business for us, and it will be a profitable book,” he said. WITH her attention focused on a book and her lecture notes strewn all over the table, Mangalan Bal looks just like any other student preparing for her mid-year examinations - except that her choice of location for studying is a foodcourt at the Khoo Teck Puat Hospital. While it is not unusual to see students cramming with their books at public places during exam crunch time, the Yishun hospital is set to be a new hot spot, with its lush greenery and large pond. The O-level private candidate, who lives in the area, said she was not bothered by the fact that hospitals treat sick people. 'I don't see patients around at all,' she said, adding that the NTUC Foodfare foodcourt is sited away from the clinics, and its patrons are usually visitors. Other reasons cited by students - there were at least five when The Straits Times visited the foodcourt yesterday - were the close proximity of the hospital to their homes and schools, as well as overcrowding at public libraries. 'You have to be there before the library opens if you want to choose your seats, especially during the weekend. It's like the Great Singapore Sale - crowded even before the shutters are up,' said Singapore Institute of Management student Lai Pei Yin, 21, who was studying at the Subway outlet in the hospital. She lives just a five-minute walk away, and has gone there five times since the start of this month, spending around 10 hours each time. A supervisor at the outlet, Mr Chandra Mogan, 34, notices about five students dropping by to study daily. He usually leaves them alone, as they spend on food. 'However, during peak hours, we would give priority to customers who are there to eat,' he said, adding staff would politely ask the students to make way. But an old favourite remains a hit. At Changi Airport Terminal 3, Secondary 2 student Haziq Sani was with schoolmates in Basement 1 when The Straits Times visited yesterday afternoon. According to a recent post on citizen journalism website Stomp, the open area next to the carpark is where students tend to congregate. It is away from the retail outlets, and there were few passers-by when The Straits Times visited. Most students cited similar reasons for 'landing' at the airport - it was quiet, peaceful and air-conditioned. A Changi Airport Group spokesman said the public was welcome to use the public areas, but the airport was not intended or designed to be a studying place. 'Our duty managers monitor the situation in the terminals closely, and auxiliary police officers will request students who inconvenience passengers or disrupt operations to leave,' he added. Teachers said students can make use of school premises in the exam run-up. Pasir Ris Secondary School principal Cheng Hwee Yeang encourages students to stay in school to do their revision 'because of the conducive environment and the fact that there are teachers around'. Ngee Ann Secondary School principal Adrian Lim said a month before exams, the school would extend opening hours till 9pm to cater to those staying back. He added that the initiative 'is quite popular, with over 50 students staying back on average during this period'. Engineering pioneers a more inclusive education. It'll take some doing, but Stanford aims to put a T in "engineer"—not an easy fit. The School of Engineering sees the task as its signature challenge in a rapidly changing world. It wants to reformat students of all shapes and sizes, intellectually speaking, into people who envision themselves as capital Ts—vertically supported by strong math and science training but stretching laterally with extensive business and communication skills. The prototypical 21st-century engineer, says Dean James Plummer, will be someone who combines a deep grounding in the technical fundamentals with an entrepreneurial outlook and an instinct for lifelong learning. To foster that, Plummer says, "we are pushing the bounds of an engineering education." And that can be tough going, in part because everyone from accrediting examiners to each new wave of students must be willing to buy into some edgy rethinking. Stanford offers and promotes a prominent set of nontraditional courses, such as those involving design-based problem solving—but as electives that have to win acceptance as professionally valuable. Can an exceptional technical curriculum be combined with a broad interdisciplinary mindset? It has to be, asserts Plummer. "The half-life of engineering information is probably three to five years," says Plummer, citing the furious pace of technological advances. "We need to teach students how to keep learning. . . . They may even change technical fields multiple times." Engineers who once would have remained employed for decades with the same large companies now require the business and collaboration skills to work effectively in the small firms and start-ups of the so-called new economy. Careers will be spent in a global environment, with an international set of customers and clients. Engineers who find themselves living in different parts of the world will benefit from an understanding of diverse cultures and people. With that in mind, a summer internship program places students with companies in China for nitty-gritty experience. Engineers aspiring to leadership positions will compete in creativity and decision-making abilities as well as technical knowledge and business smarts. And there are ways to tailor undergraduate programs to enhance those qualities, says Plummer. But every serious effort to integrate all these skills, notes Plummer, is susceptible to "real resistance against cutting into the technical part of the education." Four years ago, he points out, his school's increasing focus on a less traditional approach complicated its accreditation, although the maximum six-year renewal was received. Thomas Stahovich, an associate professor of mechanical engineering at UC-Riverside, has written about the issues involved in remodeling engineering curricula. He sees the right balance of vertical and horizontal ingredients at Stanford. "Both skill sets are essential for students to be able to put their knowledge into practice," he said by email. "Stanford's approach of infusing the curriculum with an emphasis on communication skills, innovation, international experiences, teamwork skills and the like should be quite effective at producing engineers who can make an impact on the world." To implement its vision, Engineering particularly looks to two buzz-worthy assets: the Stanford Technology Ventures Program and the Hasso Plattner Institute of Design, or d.school, which uses interdisciplinary teams of faculty but was organized within the school. The STVP curriculum, which emphasizes entrepreneurship and innovation in high-tech ventures, draws more than 1,000 students a year to its elective courses. Co-director Tom Byers, a professor of management science and engineering, and executive director Tina Seelig received the National Academy of Engineering's top award for teaching last year. The d.school, headed by mechanical engineering professor and design-firm IDEO guru David Kelley, encourages the notion of tackling "nearly any challenge" with collaborative expertise. This spring, it moved into renovated space where expansive, highly adjustable work areas reflect the same spirit of innovation as the design projects. I COUNT myself lucky to have found great interest in subjects that some of my peers thought were boring because these have led me to where I am today. Mathematics, physics and chemistry were subjects that caught my attention and fuelled my curiosity when I was growing up because I used to wonder how everything worked around me. This was also the beginning of my fascination for learning more about technology and enjoying how much these lessons reveal to me. And, when the time came to choose my major for university studies, it was a natural progression to take mechanical engineering at the National University of Singapore (NUS). Entering the Faculty of Engineering has proved to be my best choice as it is exactly the kind of education I had in mind; one that provides students with an excellent learning environment to build a solid foundation in engineering skills and principles while getting a unique global learning perspective. For me, the overseas opportunity to interact and better hone my skills came in the form of the unique Shell NUS-Cambridge Student Exchange Programme. I was successfully chosen as one of the two NUS students in September 2010 to exchange places with two Cambridge students. In the five months I have been in Cambridge, I have gained a much deeper insight into how engineering is viewed in Europe and have also realised that what I learned in NUS has grounded me in adjusting to the various demands that Cambridge students are expected to meet. Although the idea of living alone for the first time in a foreign land was difficult to get used to as I initially planned for the one year away, I did not let this hamper my decision to study engineering in a prestigious overseas university. But there was no lack of hurdles I have had to cross. As a second-year NUS engineering student studying third-year modules at Cambridge, there were certain fundamentals that I had not yet mastered. This meant I had to muster up a lot of courage and effort to seek additional tuition and help from professors and friends to teach me everything so that I am up to speed on the curriculum. The academic and emotional support I encountered was most overwhelming. In no time, I'd managed to bridge the gap and am much more confident about my final examinations now. It also took more effort at the beginning to negotiate the difference my Singaporean accent presented to my English lecturers' accent and vice versa as well. But because of these situations, I was even more fired up that I should savour these precious experiences that Shell Singapore, NUS and the University of Cambridge have awarded me with. In addition, Cambridge has many unique and fascinating traditions that I have grown to love. The unique one-on-one mentorship with the professors greatly facilitated a swift learning process. Residential living at Cambridge is fun and, for one thing, dining at the Formal Halls dressed in formal college gowns at a long table to enjoy a hearty three-course meal is always a great way to meet new friends and sort of made me feel like I was in a Harry Potter novel. Another was the popular activity punting, which basically means to boat in a punt. I am also taking the opportunity to pick up Ballroom Dancing and Salsa as part of the Cambridge Dancers' Club. My college, Christ's College, also offers many opportunities to serve for the welfare of students. So I am currently one of the Christ's College Welfare Officers who volunteers to help students facing issues at school - this is especially meaningful for me. With my remaining time at Cambridge and at NUS, I am more inspired to keep going because when I graduate at NUS, I would have experienced two prestigious university engineering programmes instead of one. I am grateful for this programme as I believe the sum of these two has given me great aspirations. I am also confident in challenging myself when an opportunity arises because I can achieve more than what I set out to be. Just as Thomas Alva Edison's quote reminds, I strongly believe it now that 'if we did all the things we were capable of doing, we would astound ourselves'.